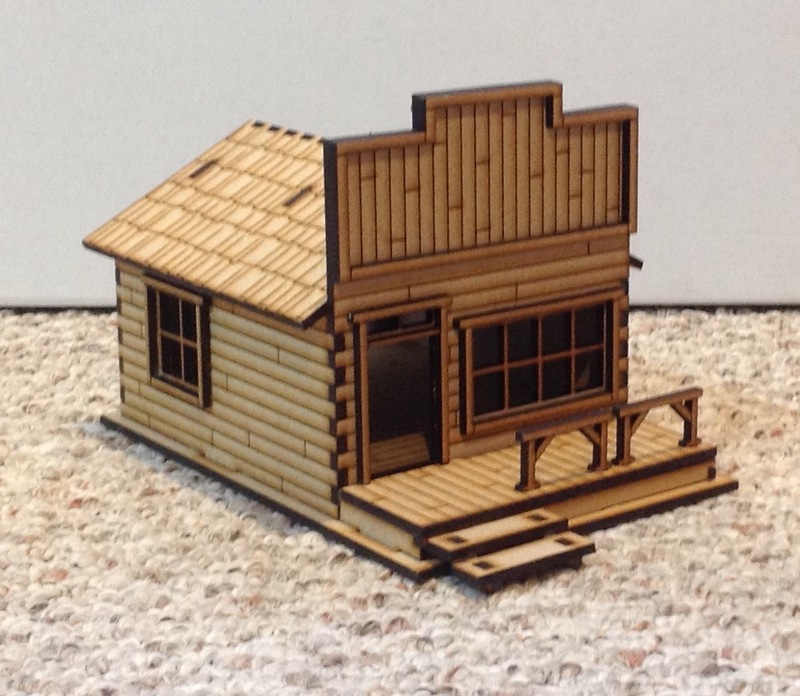 A western building with a stepped front sign. 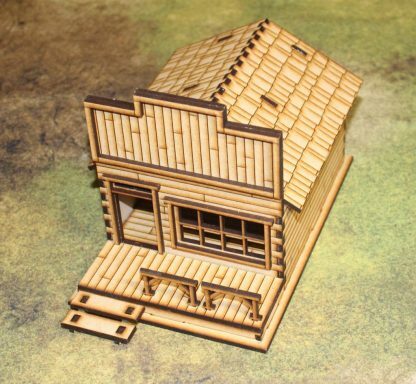 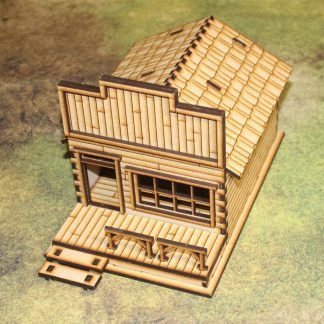 These buildings are part of our Western series and will work well for any western game system or any game where you want a western or rustic feel, we use them for Malifaux all the time. 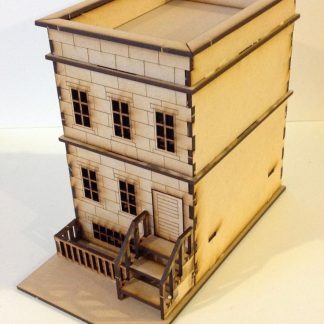 The base that sits under the building and front walkway is 7″x4 3/4″ (180mmx120mm) and the building is roughly 5″ (130mm) tall at the tallest part. 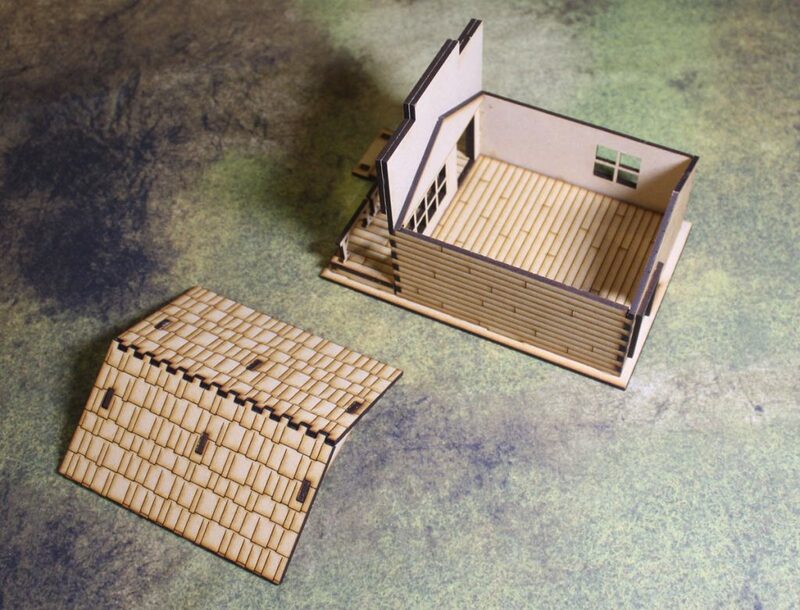 The interior building space is roughly 4 3/4″ x 4″. Stairs are provided for both front and rear access, as are doors that be be glued in place or left off. 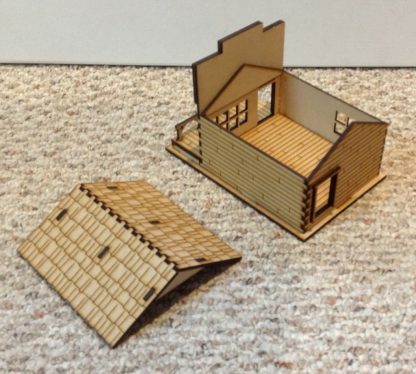 The roof is removable. 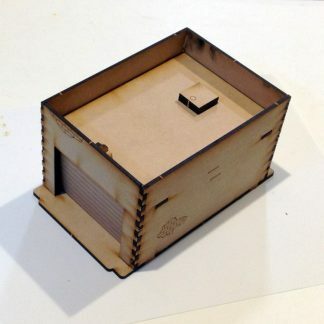 Sold as a kit of 1/8″ (3.2mm) MDF parts, and is not assembled or painted. 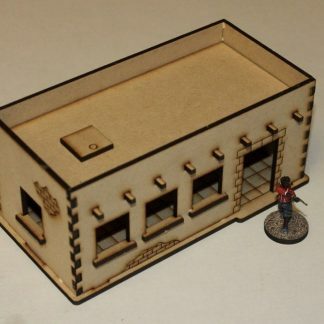 By default the sign area is engraved with boards on all buildings, it was left blank on the back of building #4 in the group image and can be left blank on any of building upon request, but this will extend lead time before shipping by about a week. 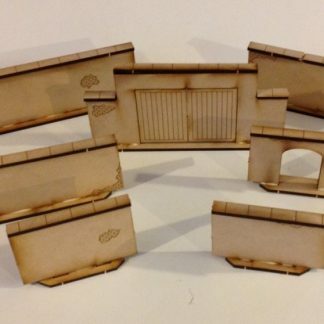 NOTE: Models shown are for scale purposes only and not included. Other buildings shown are only to demonstrate how these buildings can work with other parts of our line and are not included, each building is sold separately.